We had such a great time learning about Australia! Here are some highlights from our trip down under, mate! 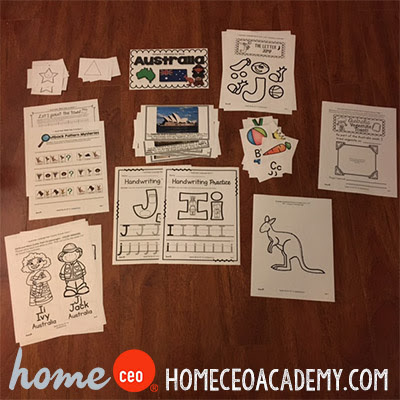 If you would like to join in on the fun with your preschooler, our 12 week Exploring Our World curriculum bundle can be purchased here. Here is a bird's eye view of my living room floor on a Sunday night. Everything is printed, cut, and ready to go for Monday morning. The theme board for this week was a big hit with all the animal vocab cards! I also had no idea that the opera house is open all day, every day! Wake up, warm up! 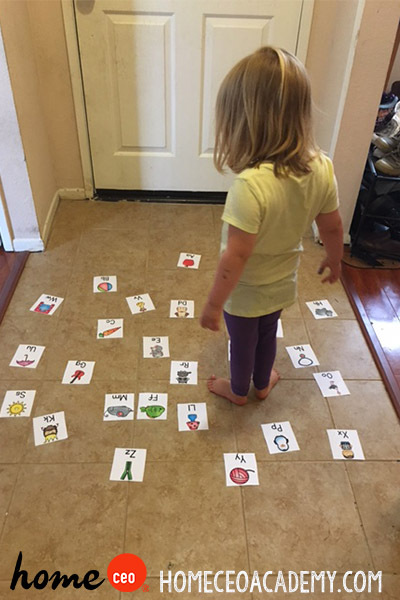 Our wake up, warm up activities for the week focused on pattern recognition and the alphabet. 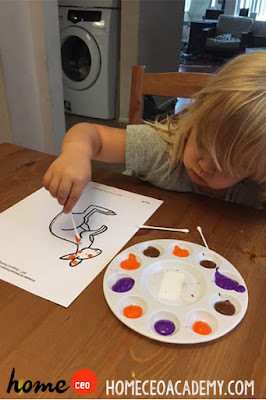 My little lady loved the kangaroo alphabet hop so much that we did it every day!! 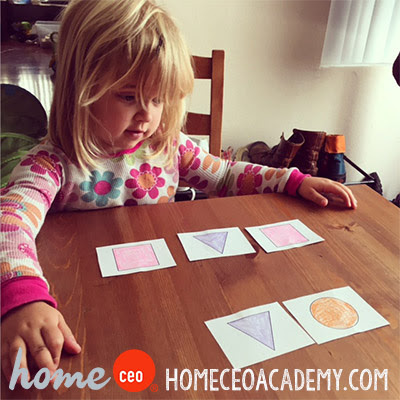 **Home CEO hack** Can your little one spell? Have them hop around the spell their name or a CVC word! Kylie is on a big painting kick right now, the art project was just wonderful. After looking at our theme board card about Aboriginal dot art, we hopped on the computer and looked at a few more. She got right to it with no instructions! The focus letters of our Australia unit are I and J. 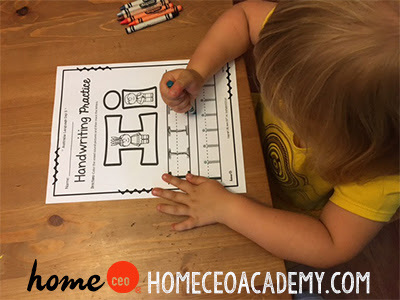 Are you interested in just purchasing our letter crafts? Grab them here! It's time to meet our international students Ivy and Jack! Kylie enjoyed putting all of their luggage items into their corresponding train cars. Did you know all of our products are available to print in black and white and color? 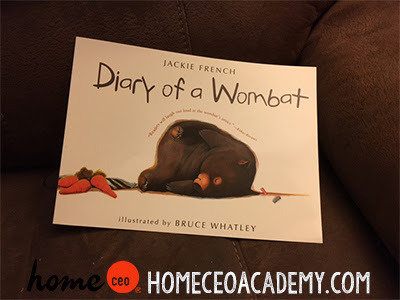 Diary of a Wombat is one of the three book suggestions for this unit and it has become a new family favorite! Follow the hijinx of a cute, little wombat as he "trains" his new human neighbors. The cooking portion of our lesson is always my favorite. As a former professional baker and wannabe top chef, I hope and pray that my children will love food as much as I do. Vegemite can be found in the international foods aisles at most groceries stores. It is incredibly nutrient dense. A little (and I really mean a little) goes a very long way. 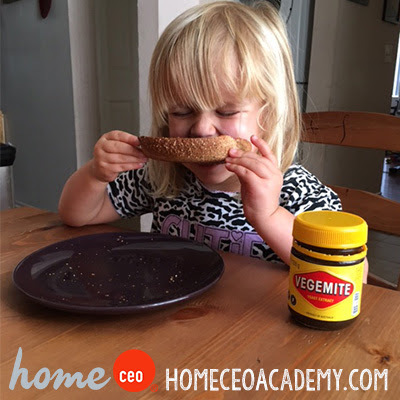 **Home CEO hack** Try a generous spread of jam on top of the Vegemite to make it a little more palatable for your little learner! 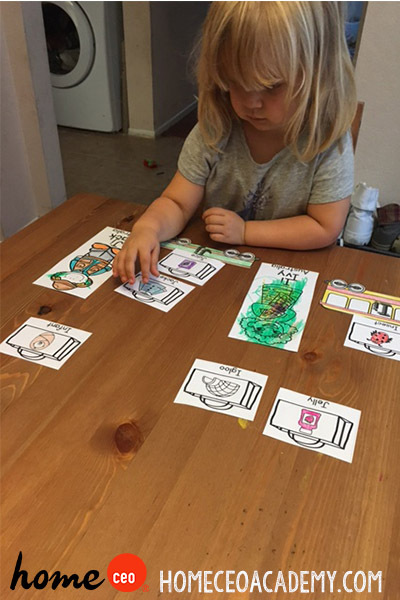 I hope you enjoyed our review of the Australia unit. You can get it here. Stay tuned for next week's blog when we learn about India!